Built 1926 by Van Galen Last and C. P. Wolff Schoemaker, replacing the 1895 "Sociëteit Concordia". Used as an arts and community center. 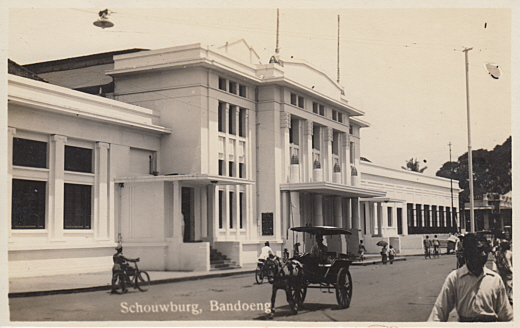 After 1945, renamed "Gedung Merdeka" (Independence Building). Venue of the Asian-African Conference in April 1955, site of the Constituent Assembly of Indonesia from 1955-1959, and venue of the Asian-African Islamic Conference 1965. Currently used as a museum of the Asian-African Conference.